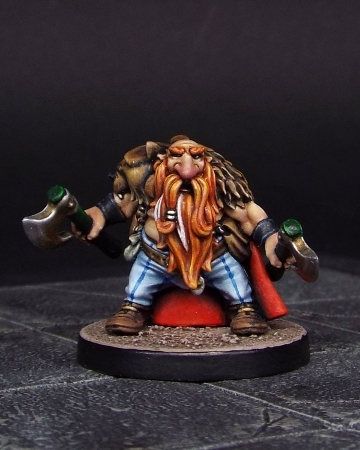 Khorosho Productions: Birsi Bearsson, Dwarf Berserker Released! 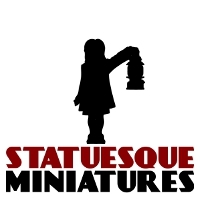 Statuesque Miniatures is pleased to announce the release of a new Statuesque Fantasy Adventurer – Birsi Bearsson. A dwarf berserker of fearsome reputation, Birsi claims he was raised by a she-bear alongside her cubs. Few would dare question his account, even those who grew up with him. Birsi Bearsson is available in two versions. First up we have Birsi armed with his favoured twin axes. Next we have an older, more experienced Birsi armed with a finely-wrought great axe and magical ring. Down which dark dungeon did he find those fine weapons? Each version is available at a special release price of only £4.25, saving over 10%. Alternatively, you can purchase both versions together in the Birsi Rising Special Offer for only £8, saving over 15% over the regular, separate purchase price. 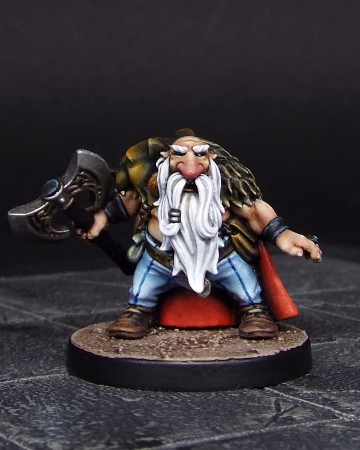 Finally, why not pick up our other fantasy dwarf Lowri Lowrisson along with Birsi in the Dangerous Dwarves Deal? You can chose either version of Birsi alongside Lowri, or go for both versions for a three figure pack. 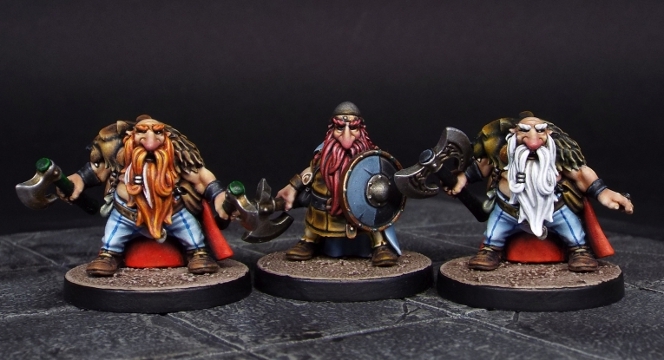 The Dangerous Dwarves Deal is priced at £8.25 to £12.25, again offering a saving over buying the items separately. All these offers will run until the 14th of August or while stocks last so don't delay and grab yourself some dangerous dwarves!